We already started the process… It’s going to be fabulous when it’s all done! You can’t tell from this cell phone photo, but isn’t she a beauty? 1. Fill in any imperfections. 2. Get new wood for the lower cabinet doors, back & one side. 3. 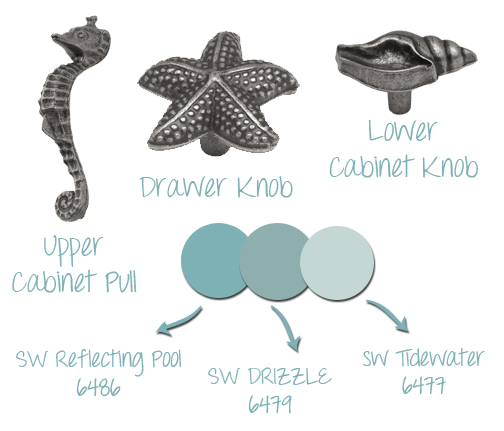 Order cabinet hardware. They just came in yesterday! 4. Select paint color & purchase! So I still have a little ways to go on this baby, but I seriously couldn’t wait another second to tell you guys about this lil project! 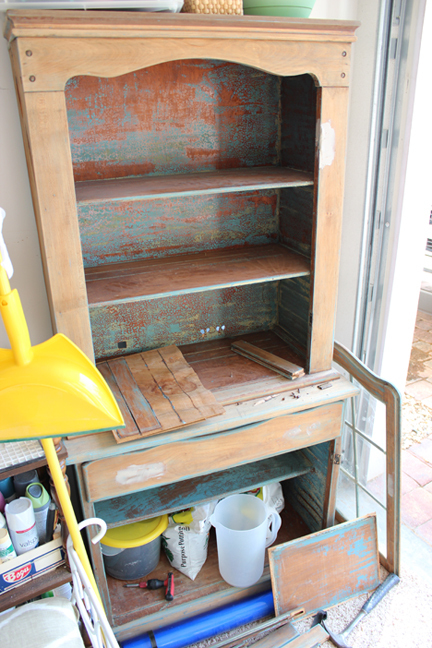 Oh, in case you haven’t seen the other dining room to-do… check it out here. What do you think? Any color preferences… do tell. What are you guys painting these days? PS- We have a fun giveaway happening… don’t forget to sign up to enter! That looks like so much fun. I love the knobs and can’t wait to see the finished project. Thanks for sharing a sneak peek. Your blog is beautiful. Found your name on the decor8 list. Hope you are having a nice wkd! I absolutely love your color scheme. I reminds me of my childhood in Miami Beach, and your knobs are perfect matches. I think it will all work out fantastic with the rest of your dining room. I love those metal chairs. You are such an amazing DIY/ Interior designer. You have a clear idea and you do it! Congrats! I’m happy you’ve started posting again, but when will there be follow up posts to your projects you’ve blogged about. Example: gallery wall, kitchen, new flooring, curtains for the office, etc.